﻿Honest Tommy is a retro sci-fi comedy adventure series currently in pre-production. Created by Ted Hutchings and Tom Menary, the series follows the exploits of a dashing space captain and his crew of rogues and misfits. Our original audio series, The Radio Adventures, is underway. Follow our adventures on Facebook and Twitter for more. 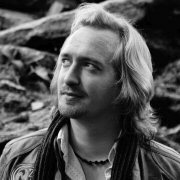 Ted Hutchings is a writer, actor and director based in Exeter, and is currently working on the post-production of his feature-length buddy-cop comedy, Shields of Justice, alongside Ben Tallamy. He has several film appearances including roles in The Runner, Seasons of War (2015) and the award-winning 48-Hour Film Challenge short, The Snug (2014). 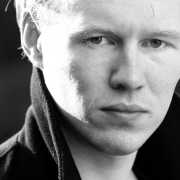 Tom Menary is a writer, actor and composer based in Plymouth. He has numerous film and stage appearances, including Mort (2018), Othello (2016), The Liminal (2014) and Breakfast with Emma (2013), and has a collection of his original music and film scores online. Our amazing adventures into space have barely begun, and we'll need all hands on deck to help us reach the stars. Get in touch if you think you'd like to join our mad universe; we're after everyone from writers and concept artists to actors and crew, makeup and costume, sets and design, sound and music, and publicity and promotion. Think you've got what it takes to join the greatest crew in the Fifteen Galaxies and have amazing adventures in space? Blast off!